The Affordable Care Act: Affordable... or just an Act? 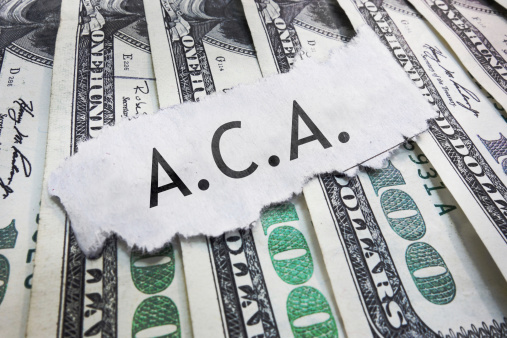 No matter who you are, no matter where, the Affordable Care Act, one of the largest pieces of legislation in recent history, will affect you...and not always in ways you can foresee, and not always in ways that give credence to what the ACA is meant to do. First, it is about access and not affordability - individual applicants will be able to get coverage without concern about existing medical conditions, nor waiting periods once they are covered. Second, it is about insurance and not medical care - many of the rules imposed on carriers have changed, but not the rules on how health care will be provided. Third, there is an act - played out in various scenarios and requiring action on everyone's part: individuals who are required to have coverage, large employers who must provide coverage, carriers and the health care industry who pay new taxes, and taxes on the rich, taxes on the middle class, and the payment of higher costs in nearly all cases. If an individual lacks coverage, they pay a penalty. Not much at first (1% of annual income) but rising (2.5% by 2016) - but it is lower than the cost of insurance and there is still a public safety net...so the cost of "uncompensated care" will continue, raising premiums everywhere. For those who do get covered, costs in the individual market will rise considerably (due to the new guarantees and the influx of the formerly uninsurable) which, along with a new tax ruling that disallows the tax exemption for individual plans paid by employers or through Cafeteria plans, mean employees will come back to employer plans. If someone is already covered with a group, they are not concerned and neither are you - unless of course you earn over $200,000 ($250,000 if filing jointly). In that case, you are heading for two new taxes -- 0.9% new Medicare and 3.8% on net investment income. In 2018, if your plan costs are too high (which is aimed at rich plans or older employees) there is a new "Cadillac Tax" as well. No car comes with it. Stay tuned next week for part two of this series where we look at The Affordable Care Act's effect on small and large groups. For further information about how PPACA affects your organization, download UBA's "PPACA Employee Guide" at http://tinyurl.com/lj7wusn.